I love these idiot black Liberals who call themselves “African-Americans.” They’ve never thought about the term, and just has taken it, because it was the thing to do. 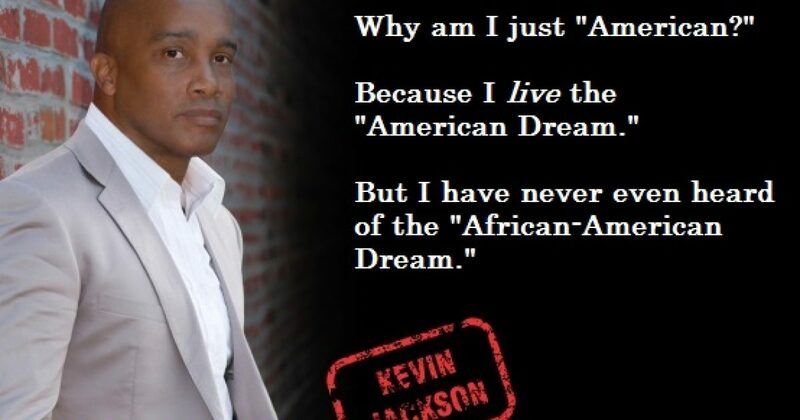 There is no such thing as an African-American. Your ancestors can be from Africa, but you’re still an American, and not just an American. To use “just” in describing America is to be humble. You are not just American, because to be American is to be special. When I tell people I’m an American who happens to be black, most black Liberals get mad. White Liberals say I’m trying to be different. Think about that. White Liberals say that my being American is trying to be different. How racist is that?! Like black people aren’t supposed to be American?! Like black people must be something else. White Liberals want black people mad. My response: “Oh I don’t know, maybe because I’m at this 5-star hotel with you, getting a massage that I couldn’t get in AFRICA!? I know what they are telling me; they want me in my box. I refuse. I don’t have a box. I roam in the openness of the entirety of America. The irony of most black Liberals running around saying African-American is almost all are something else besides African. They are European, Asian, and a host of other “ans” along with being African. That’s what America is. A hodge-podge of it all. That’s why I’m a proud American. I want the old America back, where American trumped all “othercans.” However, old or new, there is still only ONE dream: The American Dream.